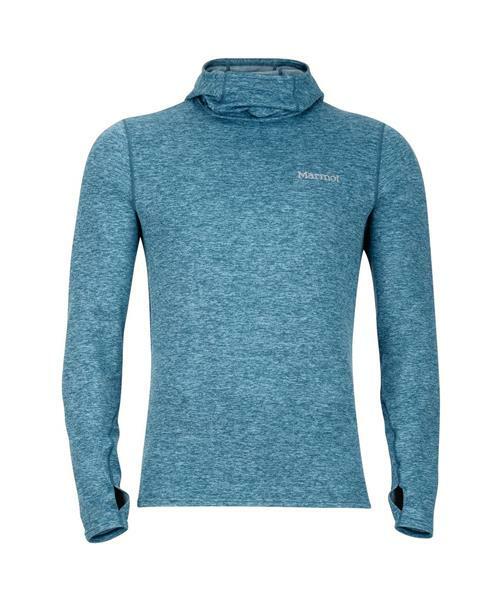 The Marmot Resistance Hoody is a great layer to help keep you as dry as possible. Raglan sleeve allows you to move freely so you don't feel restricted with your activities. Thumbholes help prevent the sleeve from going anywhere you don't want it to.